We have been blessed with some beautiful weather this past week and I wanted to take advantage of what might be our last opportunity to venture to the beach before fall’s chill sets in. So, my roommate promised that if I finished writing my papers she would take me to the beach this weekend. I finished one and outlined the second so we considered that close enough and took a homework break with a friend on our floor to get some Cold Stone ice cream and then head to the beach. While my parents were in Holland for orientation weekend back in August they found Laketown Beach Park and insisted I get the chance to visit before winter. I am so glad that we did! From the parking lot you have to climb stairs up the dunes and then down the other side to reach the water. The view was breathtaking! The sound of the water and feel of the sand under my feet was enough to give my mind a re-charging for the week ahead. I took too many pictures of the amazing view, but here are a few of my favorites from our beach adventure! Fall recess is in just 5 days! I can’t wait to visit home for awhile, but I will miss the beautiful sights Holland, MI has to offer. Whenever you arrive at State Park, you have to park far away so you do not have to pay for parking. However, the walk is definitely worth it. I absolutely love Lake Michigan and its beaches. I think this picture needs to be on a postcard or something. Holland is full of beauty, and I think every Hope student enjoys visiting its beaches. Posted on September 8, 2011 September 9, 2013 Author Colleen QuickCategories UncategorizedTags beach, Lake Michigan, nice weather, state park, study breakLeave a comment on To Study, Or Not to Study? I hope you all are doing well. Today concludes the first day of exam week. I woke up at 7 to study before my Spanish exam this morning. I was very tired because I had stayed up late working on my stats final exam paper, but no worries… IT IS FINISHED! I felt so relieved to have that accomplished. Now I am just finishing up with a couple of other papers. Of course, I did not study all weekend. I allowed myself some fun. I went out to dinner in Grand Rapids, attended a concert outside of Good Time Donuts, attended my roommate’s dance concert, hung out with people, longboarded, visited Holland State Park, ate at a Mexican restaurant, and went to Starbucks. With all of this, I still was able to accomplish a lot of homework and have fun. 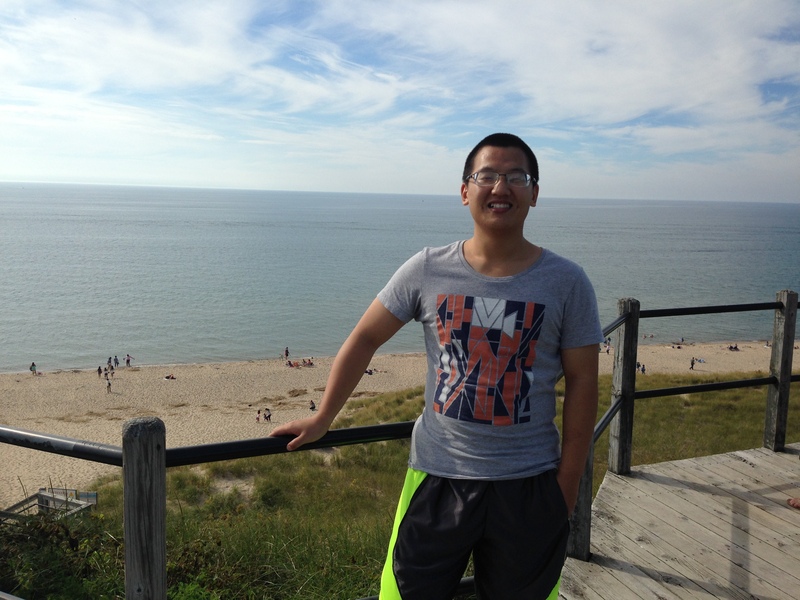 I think my favorite part about the weekend was visiting the beach at Holland State Park. I had never visited there before, and it was gorgeous. We watched the sunset and walked along the beach. Hopefully I will be able to go to the beach another time this week. I love study breaks! Today, my roommate and I shopped downtown Holland, and we also went to Wal-Mart and Target. Now we are “studying” and trying to accomplish some homework. I should probably get back to my homework now. I’ll be filling you in more about final week! Posted on May 2, 2011 September 9, 2013 Author Colleen QuickCategories UncategorizedTags beach, exam week, Hope College, Lake MichiganLeave a comment on Beach Escape!